Stocking up on Christmas titles! Christmas spirit at the library! Immerse yourself in new and classic titles from a variety of authors from different genres who use Christmas to showcase their storytelling talents. Whether it’s Ali Smith’s Winter, musing on how we present ourselves to family, or Agatha Christie setting Poirot and Miss Marple baffling cases for Christmas there is great reading material for the holidays. Some authors regularly return to the celebration theme with series set around Christmas, Debbie Macomber, who brings a new feel good Christmas gift every year and Anne Perry who delivers Victorian mystery novellas adorned with all the trimmings. James Patterson and John Grisham’s fast paced seasonal titles play foil to the romantic holiday offerings from Jenny Colgan and Karen Swan. Enjoy our tailored Christmas collection! 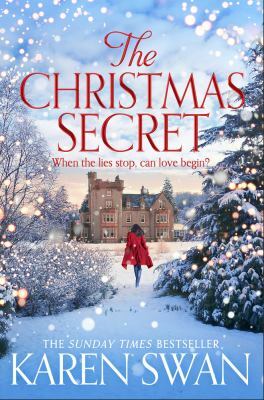 The Christmas secret / Karen Swan. “Here comes Winter. Bleak. Frosty wind, earth as iron, water as stone, so the old song goes. The shortest days, the longest nights. The trees are bare and shivering. The summer’s leaves? Dead litter. A Christmas revelation : a novel / Anne Perry. The adventure of the Christmas pudding : and a selection of entrees / Agatha Christie. Merry Christmas, Alex Cross / James Patterson. Christmas at the Cornish cafe / Phillipa Ashley. An island Christmas / Jenny Colgan.